Take a break from San Francisco with a short trip to Muir Woods National Monument in Mill Valley, about 46 minutes away. Dedicate the 16th (Fri) to wine at some of the top wineries in the area. 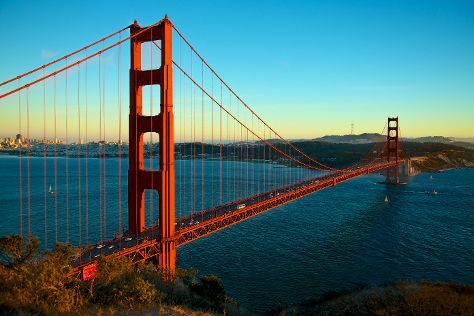 There's much more to do: snap pictures at Golden Gate Bridge, take a leisurely stroll along Fisherman's Wharf, get curious at Exploratorium, and get the lay of the land with Walking tours. For reviews, other places to visit, photos, and tourist information, go to the San Francisco tour itinerary planning tool . If you are flying in from Luxembourg, the closest major airports are San Francisco International Airport, Metropolitan Oakland International Airport and Norman Y. Mineta San Jose International Airport. In August, plan for daily highs up to 26°C, and evening lows to 17°C. Cap off your sightseeing on the 23rd (Fri) early enough to travel to Los Angeles. 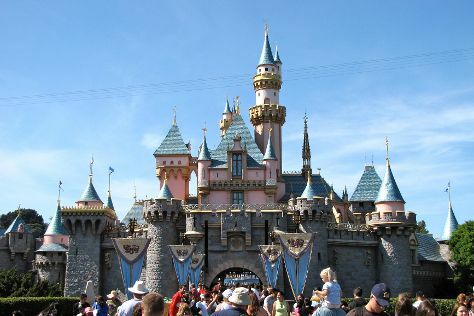 Kick off your visit on the 24th (Sat): discover the magic at Disneyland Park. Keep things going the next day: find something for the whole family at Universal Studios Hollywood. For more things to do, maps, and more tourist information, read our Los Angeles trip itinerary planner . You can fly from San Francisco to Los Angeles in 4 hours. Other options are to do a combination of train and flight; or drive. Prepare for a bit warmer weather when traveling from San Francisco in August: high temperatures in Los Angeles hover around 34°C and lows are around 22°C. Wrap up your sightseeing by early afternoon on the 26th (Mon) to allow time for travel back home.